I began my internship experience at Avvo in February of 2017. Leading up to my start date, I was a bundle of nerves. I had never worked in a large code base that was unfamiliar to me. I had never fixed a bug in someone else’s code. My knowledge of the tech world in general was pretty hazy and I had no idea what to expect. My first day rolled around and I woke to a world of white – that’s right, a snowstorm hit Seattle the night before my first day. Thankfully, I was told to stay home and avoid the nasty commute, so I worked from home for my first official day at Avvo. 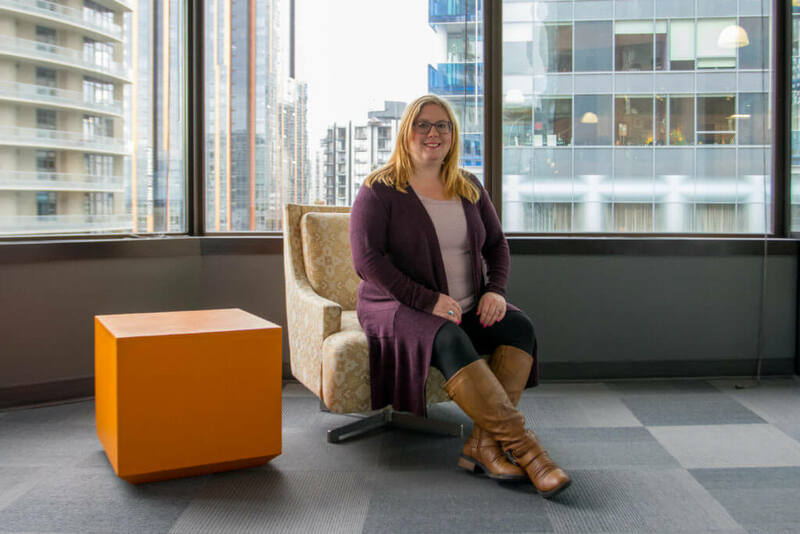 My first two weeks were a blur – I set-up my development environment, met my team and many others in the company, attended meetings, and learned about Avvo. I love that from the very beginning, I was treated as a part of the team and took on tickets and sprint work like everyone else. I work on the Commons team at Avvo, named after the tragedy of the commons, which is a theory that in a shared-resource system, people operate according to their own interests and as a result, these shared resources are often depleted or spoiled. The goal of my team is to devote time and energy to shared website features that might otherwise be neglected. My cross-functional team includes front and back-end software engineers, a graphic designer, a content strategist, UX expertise, a product manager, and quality assurance. We work on the global search elements, the homepage, navigations and a number of other elements that are shared across pages. During my internship at Avvo, I had the opportunity to work on several highly visible features, like a homepage pivot experience and adding lawyer cards on the homepage. My instructors at Ada warned us that there would be a lot of vocabulary and acronyms we wouldn’t initially understand, and wow, they were right. Over that first couple of weeks, I went home every night and fell into bed exhausted, but also thrilled to be learning and experiencing so much. Robert left the company to pursue a remote position after my first two months at Avvo, and at that time Joseph Sessions, a full-stack software engineer on my team, became my mentor. The transition felt very natural because after two months of more front-end features, I really wanted to get some experience working with back-end tickets. Joseph’s focus on balancing business value with customer needs and improving the maintainability of code have been really influential in my development as an engineer. I have also noticed that in tech, mentorship extends far beyond an assigned mentor. My product manager, my scrum master, and other teammates all made an effort to teach me what they could about working at Avvo and in tech. Being a school psychologist does have some similarities to being an engineer. Really! The tech world is vastly different from my previous field of education, however I have noticed some key similarities as well. In education we always asked ourselves, “What is the smallest change we can make that will make the biggest difference?” prior to implementing an intervention for a student or a system change. In tech, the thought process is very similar when implementing a new feature or creating a test to see how users respond to an idea. Another big part of my job as a school psychologist was using data to make decisions. When we implemented an intervention or change, we regularly monitored student or teacher behavior and minimized the potential confounding variables to make us more confident that the change we were making was what actually impacted behavior. Avvo is currently building a test-and-learn culture, where small iterations of bigger ideas are tested so that we can gather data about the potential impact. We closely monitor everything from errors to site speed to SEO rankings, and this data helps inform future practice. Take time at the end of every day to reflect on what you learned and how you can improve upon something the following day. I kept a daily log and it has been really helpful to refer back to it. This is a practice I’ve continued past my internship as a way to continue to push myself and also as a reminder of things I’ve accomplished for future job interviews. Take advantage of opportunities to stretch yourself. It can be all too easy to fall into a slump of taking bug fix tickets that are within your comfort zone. Now is a great time to push yourself because you have so much mentorship and support. It is okay to break things! Be flexible and open to new experiences. Tech is ever-changing and it is likely that the members of your team or the way the team or organization functions will be different by the time your internship ends. In an agile culture, regular iteration is part of continually improving the way the organization functions. Each of those shifts is a chance for you to learn more about the world of tech and to build your skills in adjusting to new and challenging experiences. There is so much to learn, and you will never know it all (and that can be exciting!). As a school psychologist, I started feeling stagnant because I was in a system that didn’t encourage innovation. In tech, it feels like innovation is everywhere and I will never run out of things to know and learn. I love this. My internship experience at Avvo is finished, but I know that my learning and growing as a software engineer is just beginning. I’m happy to share that I accepted a full-time offer from Avvo in June of 2017! Interested in a career at Avvo? Visit our careers page for more information.